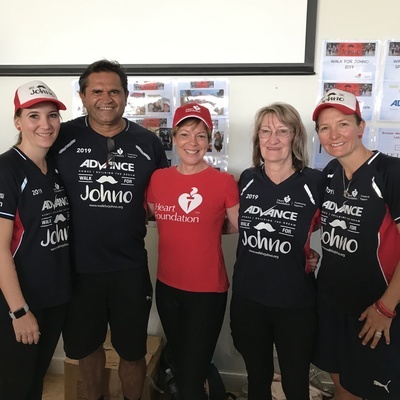 WALKING TALL: Nicole Spencer, Nicky Winmar, Heart Foundation Victoria's Kellie-Ann Jolly, Sue Spencer and Bek Spencer at last weekend's Walk for Johno. A 17-year-old boy will face court next month for an alleged armed robbery of a Torquay service station, according to police. Investigators were continuing to investigate a second boy, aged 16, over the incident at the Caltex station last week, police said. Hot weather kept public crowds down but Avalon’s airshow broke records for participation in its trade days this year, according to organisers. Almost 700 companies and 39,000 individuals attended trade sessions before 133,000 people braved temperatures in the 30s on the public days at the start of the month, the organisers said this week. “Numerous offences” ranging from drug possession to car theft have emerged in a blitz on motorists in two northern Geelong suburbs, according to police. Wednesday’s Operation Lockdown also caught a vehicle travelling 36km/h over the limit and laid charges for drink-driving after intercepting 240 vehicles at Bell Park and Bell Post Hill on Wednesday, police said. Marketing manager Ben Flynn will become the new chief executive officer of Geelong Chamber of Commerce in April, the organisation has announced. Mr Flynn beat more than 30 applicants for the role due to his enthusiasm, strategic thinking, marketing and financial skills, said chamber president Mark Edmonds. Queen’s Park Bridge has reopened after an oversize truck carrying an excavator hit the bridge’s overhead steel frame two weeks ago. VicRoads said the bridge opened again only to cars, cyclists and pedestrians, with height restrictions of 2.2 metres in place. A carpentry apprentice Mitchell McIntosh who lives in Warrigal but works in Geelong has won a Master Builders Apprentice of the Year award. Clifton Springs Blake Plymin and Torquay Jack Chafer were also winners, taking home the chairman’s and construction awards respectively after this week’s Master Builders Geelong presentation night. About 300 people have raised at least $36,000 for Heart Foundation in a fourth and final Walk for Johno, organisers have announced. Heart Foundation continued counting donations from Sunday’s event yesterday but said the walks in memory of Corio heart attack victim John Spencer had combined raised more than $100,000.